Alessandra Rufa MD&PhD, Assistant Professor of Neurology is Ophthalmologist and Neurologist at University of Siena (Italy). Her main research interest is on gaze analysis and eye movement study for neurological and basic research. She developed an eye tracking Lab with clinical and diagnostic applications. Dr Rufa established an international collaboration with other experts in the field of Neuroscience of Vision and eye movements. 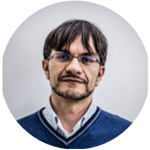 Head of EVALab, Eye-tracking and Visual Applications Lab (Department of Nerurology & Neurosurgery and Behavioral Sciences, University of Siena) and responsible of the Eva-Lab EyeTech group. The aim of the Eva-Lab EyeTech group is to provide a complete 360° competence in eye tracking technology and its application in the field of Cognitive Neuroscience, NeuroMarketing, Neuroeconomy, Neural Network, Diagnosis of Neurodegenerative Diseases, Assistive and Brain Computer Interface applications, Videogames, 3D Virtual Reality and more..
Francesca Rosini is a PhD student in Neuroscience at the University of Florence. 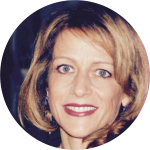 She holds a Degree in Medicine and Surgery and a Specialization in Neurology at the University of Siena. During the past 8 years, she has been working at the Eye Tracking and Visual Application Laboratory (EVALab, chief Dr A. Rufa) at the University of Siena, developing an expertise in Clinical and Eye-Tracking analysis of Ocular Movements, mainly applied to Rare Genetic Diseases and Neurodegenerative Disorders. 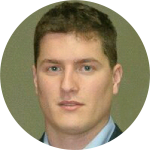 Pietro Piu is a MSc in Statistics and Economics and a PhD in Neuroscience (University of Siena). His current work involves the design and management of experiments, the development and implementation of models, data analysis, the interpretation of the results and the research for patterns into data to support decision making. 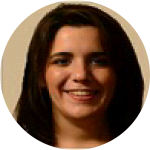 Valeria Serchi is a MSc in Biomedical Engineering (University of Bologna, Cesena), and a PhD in Bioengineering (University of Bologna). 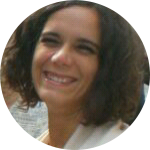 She currently collaborates as research assistant in EVAlab, Eye Tracking and Visual Application Lab, at the University of Siena. Her research focuses on the interaction of gaze and gait in virtual reality environments, on pupil dynamics and visual performance analyses in different types of populations. Tommaso is graduated in Computer Science at the University of Udine and held a double degree program at the Alpen-Adria-Universität in Klagenfurt where he studied the subject of machine learning. He also has experience as web and android mobile applications developer. He has worked for 2 years at a large Italian company as a Home Automation Tester and 2 years as a web developer at Genoa at a consultancy, development and research company.